Projects focused on electricity were honored at the Colorado Science and Engineering Fair thanks to CREA and the financial support of CoBank. The 62nd annual statewide science fair at Colorado State University in Fort Collins included more than 300 projects created by students in grades 6 through 12 from across the state. As a sponsor of the EnergyWise Award, the Colorado Rural Electric Association was represented by Stuart Travis, a member of the CREA board from Y-W Electric in Akron. 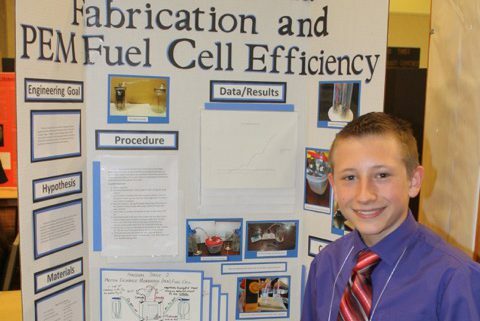 Travis served as the judge for the special EnergyWise Award, and as a former state science fair exhibitor himself, he enjoyed quizzing the students exhibiting at this year’s fair and learning about their projects. Winners this year are middle schooler Tate Schrock, a 7th grader at Arickaree School in Anton, and high school students Michelle Ren and Julianna O’Clair, who are 10th graders at Brush High School in Brush. 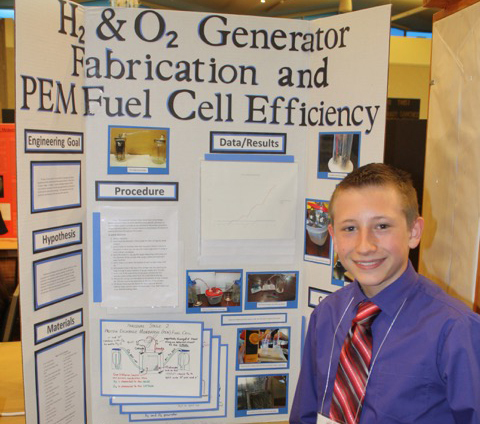 Tate’s project was titled “H2 and O2 Generator Fabrication & PEM Fuel Cell Efficiency,” and it documented a successfully-built H2 and O2 generator that split water molecules to be used in a fuel cell as another way to create renewable energy. Michelle and Julianna titled their project “Energy Production of Microbial Fuel Cells,” studying how microbes from the soil or wastewater can generate electricity and showed how adding a salt or sugar solution to the process increases output. Both of these projects were awarded a special certificate and a $250 prize. The students will also be invited to exhibit their projects at the CREA Energy Innovations Summit in October.